I wanted to take my Insta-Pot through some of its paces and short ribs seemed like the way to go. This time, I was looking for something different than my usual short ribs with bacon and Guinness. I had my Thai Chili Sauce from booYah and some ribs, so went to work. Heat the oil in a 5- to 6-quart stovetop-safe slow cooker insert (or in a 12-inch skillet) over medium heat. Add half of the short ribs and brown really well about 2 minutes per side. 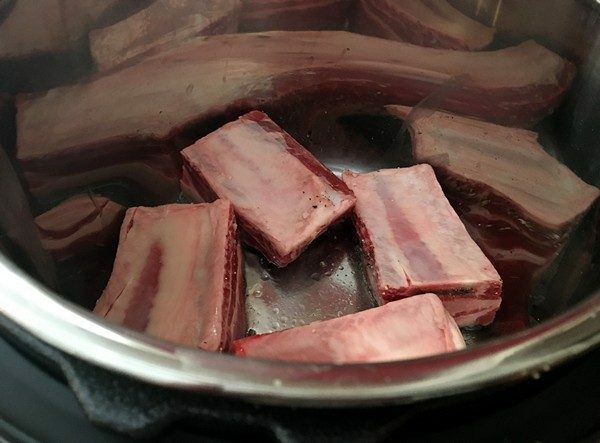 Transfer to a bowl and repeat with the remaining short ribs. Add the onion and cook, stirring often, until soft, about 3 minutes. Add the chiles, garlic, ginger, allspice, and nutmeg. Stir until fragrant, about 1 minute. Stir in the Thai chili sauce. Fit the insert into the slow cooker, or if using a skillet put its contents into the slow cooker. Stir in the broth and soy sauce. 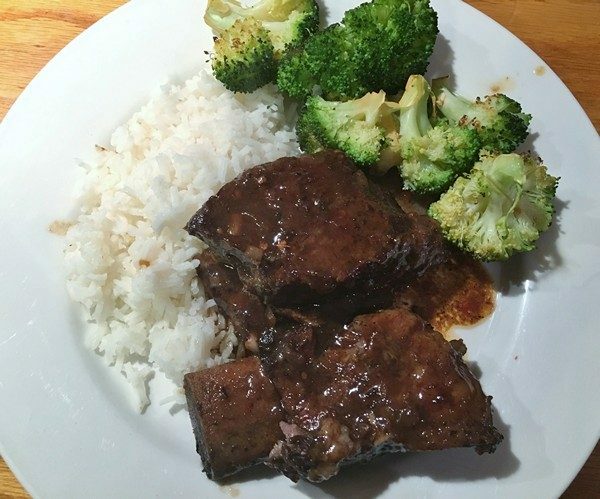 Nestle the short ribs into the sauce, pouring in any juice from the bowl. Cover and cook until very tender, 5 to 6 hours on high or 9 hours on low. My verdict: This recipe is for a regular slow-cooker. If you use an Insta-Pot, check the directions for searing and slow cooking. These were really good! The Insta-pot made searing the short ribs easy and there was no grease-spattered stove to clean up. We had them with some jasmine rice and broccoli. While, I’m not sure they’ll replace the beer-braised ribs, it’s good to switch things up now and then. 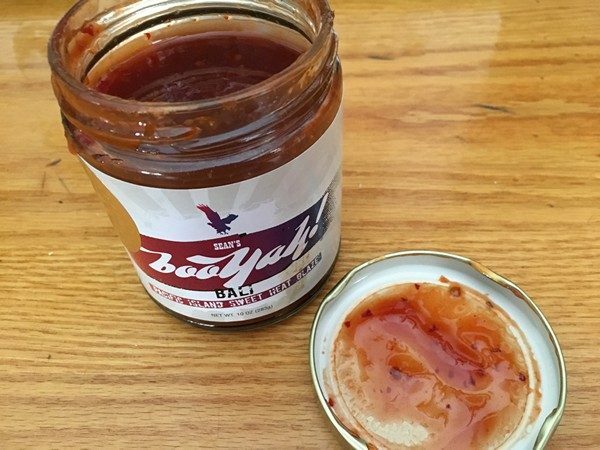 I used the booYah Thai sauce and then remembered how easy it was to make your own. Either would be great. The chili sauce is also great tossed into some sautéed shrimp (with or without some asparagus).